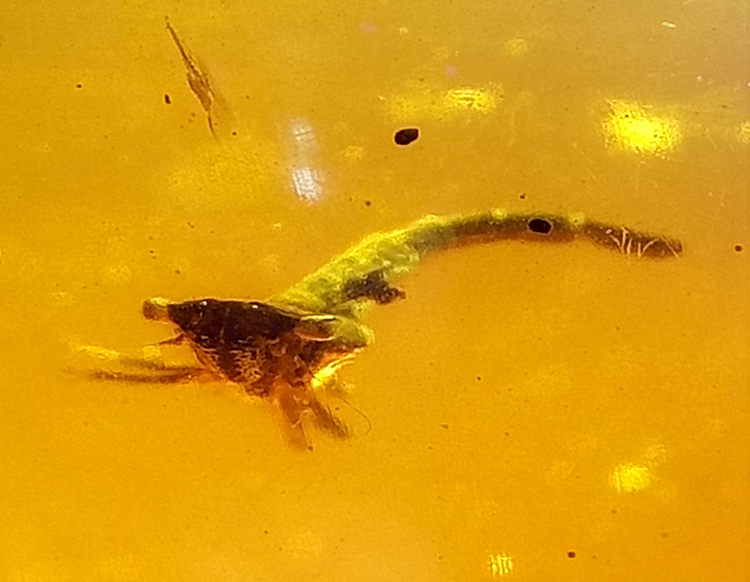 Is this a shrimp in burmite amber ? 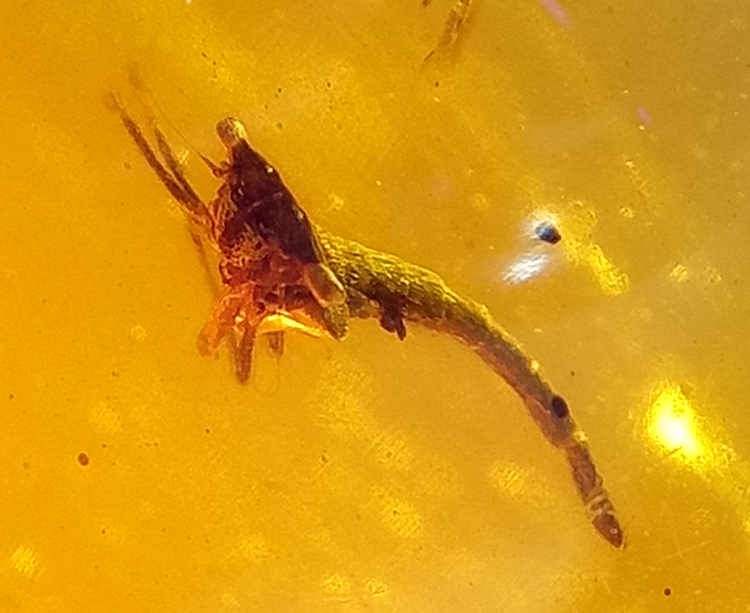 Is this a shrimp in burmite amber or insect larvae ? No shrimp, it is an insect. I agree it is not a shrimp, but rather an insect. What kind? I haven't a clue. culicid,ceratopogonid? No idea of scale,really.